"Prince Wedded to a Princess"
With picturesque ceremony and stately magnificence strongly reminiscent of the old French court, Prince Charles of Bourbon  was married today to Princess Louise of Orleans  at Wood Norton , Worcestershire, the country seat of the bride's brother, the Duke of Orleans . The ceremony could have been little more impressive if the duke had been the occupant of instead of the pretender to the throne of France. Political reasons account for some absences, but about forty members of royal families, near relatives of the bride and bridegroom, were present, while among the four hundred other guests were diplomatists representing most of the nations of the world, including the American ambassador to the Court of St. James, Whitelaw Reid and Mrs. Reid, and the American ambassador to France, Henry White and Mrs. White, and a host of nobles gathered from all the courts of Europe. The civil marriage was performed by the registrar in St. Mary's Roman Catholic Church at Evesham at 8:30 o'clock this morning. Half a dozen members of royal families, including the King of Spain , the Duke of Orleans, and other necessary witnesses, together with small suites, were the only spectators at this early ceremony, though, in spite of the attempt to keep it secret, quite a crowd of people gathered near the little church and heartily cheered the princess, who is most popular among the country people. The religious function was carried out at noon in an artistic temporary chapel specially erected for the occasion, the Roman Catholic Bishop of Birmingham officiating. Shortly before the hour the bride entered the crowded chapel leaning on the arm of her brother, the Duke of Orleans, and heading a procession in which the King of Spain, the Queen of Spain , the Queen of Portugal , and a host of other members of royal families took part. The bride and bridegroom took up a position beneath a canopy of royal blue velvet emblazoned with fleur-de-lis and surmounted by a crown, all wrought in gold thread. In accordance with French custom, there were no bridesmaids. The elaborate ceremonial was concluded with the celebration of mass, and then came the old-time ceremony of kissing the hand of the bride, the princes one after another filing past, each bowing and kissing her hand. The wedding breakfast was served in two sections, the members of the royal families and relatives of the bride and bridegroom breakfasting in the banqueting room, while the rest of the guests gathered in the far-famed museum situated in the grounds of Wood Norton. The wedding presents came from all parts of the world and mainly consisted of jewels. They represented, according to estimate, between $2,500,000 and $3,000,000, and a large number of detectives, foreign as well as British, have been on duty night and day for some time past in order to protect the collection. Today a large force of police in uniform was drafted to the neighborhood in order to watch over the safety of the princes and princesses occupying the widely-scattered premises of Wood Norton. The latter is little more than a country gentleman's house in size, so the guests were distributed over the country, in some instances being housed in haylofts, which had been transformed for the occasion by skilled hands into comfortable dormitories. Prince Charles de Bourbon belongs to the Two Sicilies branch of the Bourbons. He is the son of the late Comte de Caserta , who was a son of King Ferdinand II of Naples. His full title is Prince Charles Marie Francois d'Assise Pasqual Ferdinand Antoine de Padoue Francois de Paule Alphonse Andre Avalino Tancred. He was a widower, having married in 1901 the Infanta of Spain, the Princess of Asturias , who was a sister of the present King of Spain. She had three children and died the day after she gave birth to her only daughter, October 17, 1904. Prince Charles became a naturalized Spaniard on his first marriage. 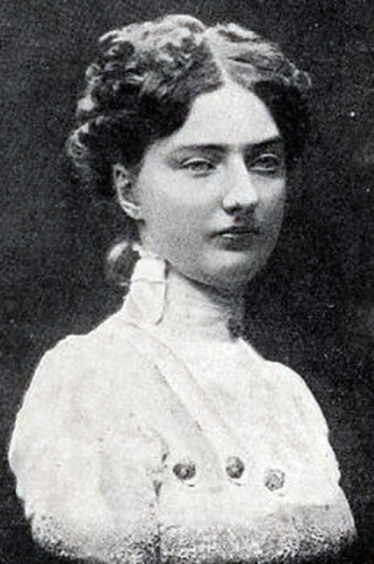 Princess Louise of Orleans, the bride, is the youngest daughter of the late Comte de Paris , who fought in the civil war on the Northern side, and Comtesse de Paris . Louis Philippe, the "Citizen King" of France , was the first and last king of the House of Orleans, and the bride's father was his grandson. Her full name is Princess Louise Francoise Bourbon Orleans. The Duke of Orleans, the pretender to the throne of France, is her oldest brother, and the Queen of Portugal, the Duchess of Aosta , and the Duchess of Guise  are her sisters. The Duke of Montpensier  is her youngest brother. Prince Charles is 37 years old, and the bride 25. Wood Norton, the scene of the royal wedding, is the seat of the Duke of Orleans, the bride's brother. It is a spacious estate in Warwickshire, on the banks of the historic River Avon. The house is red and stands on a hillside, and the lawn where the special buildings were erected for the event overlooks a great panorama, miles of winding river and green wooded country. A new chapel was necessary for the wedding, as the family chapel at Wood Norton would only seat thirty persons, and for the last month an army of architects, artists, and carpenters had been at work on the new edifice and on a grand pavilion at the south end of the house. The new chapel is temporary, and no attempt was made to embellish its white exterior of whitewood and stucco work, but every effort had been expended to beautify the interior, which was adorned with ornate decorations and paintings. Gaily decorated Venetian masts mark the long avenue from the road to the old red house, over which the white flag of the Bourbons with the lilies of France was flying. The time of the wedding was deemed particularly appropriate, for autumn is Princess Louise's favorite season, and all the trees in and around Wood Norton are ablaze with the copper, scarlet, and orange tints of declining fall. The banqueting pavilion, to which the wedding party and the royal guests proceeded in procession after the ceremony, is on the opposite side of the house from the chapel, so that the company passed through the halls of the mansion to reach it. This hall is a beautiful apartment eighty by forty feet, decorated in Louis XVI style. Here the royalties assembled not only for the wedding breakfast, but will also gather for other banquets during the four days of festivities which follow the wedding. Large double doors give entrance to the hall. The walls are covered with rich golden silk and the canopy is upheld by blue and gold staves and surmounted by the crown and arms of France. There are four allegorical paintings twenty feet high, two flanking each entrance. All the decorations, except great quantities of palms and flowers which London furnished, were brought from France, and the designers and builders were Frenchmen whose taste is unsurpassed, so that the general effect of the structures is most attractive. A pretty ceremony took place four days preceding the wedding. At the time of the Duchess de Guise's automobile accident, the Eversham Cottage Hospital was instrumental in rendering first aid. As a return for the help which was given to her sister, Princess Louise opened a "Cafe Chantant" to augment the funds of the hospital, and evinced the greatest interest in the charitable work. Since then she has been known in Evesham as "Our Princess," and the inhabitants, anxious to show their gratitude, commissioned Alfred Parsons, ARA, to paint a picture of Wood Norton as a present to the bride. The completed picture shows the dark red house nestled against a background of trees with the river in the foreground reflecting the marvelous tints of the autumn foliage. On Tuesday, the Mayor and Coroporation of Evesham visited Wood Norton and presented the picture to the princess. At her wedding, Princess Louise wore a superb lace veil of the finest point d'Angleterre designed by herself. It is of the Louis XVI period. The bouquets are reproduced from a pattern worn by Marie Antoinette. These bouquets are a very distinctive feature, and not only form a rich border around the veil but are also repeated at balanced intervals on the lower end, which will spread out over the court train. The veil is five yards long by two yards wide, and, being worn short in front, barely reaching the elbows, almost the full length will fall as a pendant ornament over the white satin folds of the dress. Above the bouquets, worked in Alencon stitches, are the arms of the bride and bridegroom. As both belong to the royal family of France, there is little different in the blazon. Two fleur-de-lis in chief, one in base, are sewed on each shield, and above the royal crown, "Fermee a cinq tenants." The different correct tinctures are indicated on the veil by the variations of the fine point stitches. The edge of the veil is slightly scalloped on account of the close setting of a conventionalized flower form. Four thousand buds, single leaves, and flowers are used to powder the whole veil, and this vast work was entirely carried out by French workers, under the supervision of M. Lesedure, veteran director of the great lace firm in the Rue de Castiglione, Paris. The other guests besides royal ones had a wedding breakfast in the duke's museum on the grounds and about three hundred sat down to an elaborate banquet, every detail of which the duke himself arranged. There were several large wedding cakes, and the one on the royal table, which was sent from London the day before the wedding, weighed nearly two hundred pounds. The cost of the catering is estimated at $50,000, and the amount expended on the buildings and decorations evidently was very great. Fifty automobiles were employed to bring the guests from Evesham railway station to Wood Norton. 1. Prince Carlos of Bourbon-Two Sicilies, Infante of Spain (1870-1949). He was the son of Prince Alfonso of Bourbon-Two Sicilies and Princess Antoinetta of Bourbon-Two Sicilies (who were both grandchildren of King Francis I of the Two Sicilies). He received the title of Infante of Spain in 1901, a week before he married his first wife, Mercedes, Princess of Asturias. 2. Princess Louise of Orleans (1882-1958), daughter of Prince Philippe of Orleans, Count of Paris and Princess Marie Isabelle of Orleans (who were both grandchildren of King Louis Philippe of France). Louise's siblings married into the royal families of Portugal, Austria, and Italy. Though their daughter, Maria Mercedes, Carlos and Louise are the great-grandparents of Felipe VI, the current Spanish king. 3. Wood Norton, a stately home located near Evesham, Worcestershire, England, was the home of the bride's brother, Prince Philippe, Duke of Orleans. The home was purchased in 1939 by the BBC, and during World War II, it became a large broadcasting and filming center. The house has also been used as a hotel. 4. Prince Philippe of Orleans, Duke of Orleans (1869-1926) was the bride's elder brother. He was the Orleanist pretender to the French throne from 1894 to 1926. In 1896, he married Archduchess Maria Dorothea of Austria, a great-granddaughter of Emperor Leopold II. The marriage was not a success, and on his death, the headship of the House of Orleans transferred to his cousin/brother-in-law, Prince Jean, Duke of Guise. 5. King Alfonso XIII of Spain (1886-1941) was the groom's brother-in-law. Alfonso's elder sister, Mercedes, had married Carlos in 1901, but she died three years later. 6. Queen Ena of Spain (1887-1969) was the wife of King Alfonso XIII. She was the daughter of Princess Beatrice of the United Kingdom and Prince Henry of Battenberg, and therefore also a granddaughter of Prince Albert and Queen Victoria. Alfonso and Ena's third son, Infante Juan, Count of Barcelona, would later marry Carlos and Louise's daughter, Maria Mercedes. Juan and Maria Mercedes were the parents of King Juan Carlos of Spain. 7. Queen Amelie of Portugal (1865-1951) was the bride's eldest sister. A little less than three months after this wedding, Amelie's husband and elder son were assassinated in Lisbon; she was present but unharmed. 8. 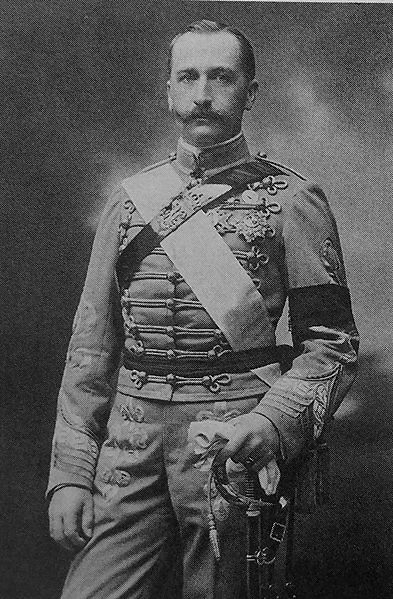 Prince Alfonso of Bourbon-Two Sicilies, Count of Caserta (1841-1934) was the groom's father. He was the son of King Ferdinand II of the Two Sicilies and Archduchess Maria Theresa of Austria. This article suggests that Alfonso had died before the wedding, but he lived until 1934. His wife was his first cousin, Princess Antoinetta of Bourbon-Two Sicilies (1851-1938). Their twelve children married into the royal families of Bavaria, Spain, France, Saxony, and Austria. 9. Infanta Mercedes of Spain, Princess of Asturias (1880-1904) was the first wife of the groom and the elder sister of King Alfonso XIII of Spain. She died three years after her wedding to Prince Carlos of Bourbon-Two Sicilies. She was the heir to the Spanish throne -- following first her father and then her younger brother -- for her entire life. Two of her children, Prince Alfonso and Princess Isabella Alfonsa, lived to adulthood. Her grandson, the Duke of Calabria, died in October 2015. 10. Prince Philippe of Orleans, Count of Paris (1838-1894) was the bride's father. He was a grandson of King Louis Philippe of France. Philippe fought in the American Civil War on the Union side and later wrote a history of the war. He married his first cousin, Princess Marie Isabelle of Orleans (1848-1919) in 1864. 11. Princess Marie Isabelle of Orleans, Countess of Paris (1848-1919) was the bride's mother. She was the daughter of Prince Antoine of Orleans, Duke of Montpensier and Infanta Luisa Fernanda of Spain. 12. King Louis Philippe of France (1773-1850) was the bride's great-grandfather on both her paternal and maternal lines. The bride's father was the son of Louis Philippe's eldest son, Ferdinand; the bride's mother was the daughter of Louis Philippe's youngest son, Antoine. Louis Philippe abdicated in 1848 and fled to exile in England. 13. Princess Helene of Orleans, Duchess of Aosta (1871-1951) was the bride's sister. 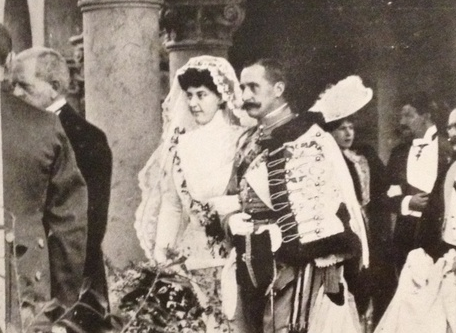 Before her marriage to the Duke of Aosta, Helene had an ill-fated romance with Prince Albert Victor, the eldest son of King Edward VII and Queen Alexandra of the United Kingdom. 14. 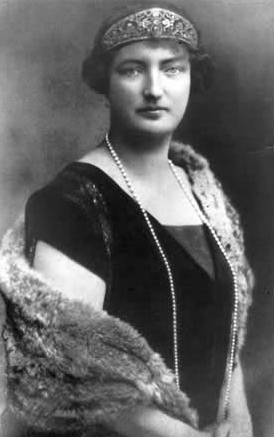 Princess Isabelle of Orleans, Duchess of Guise (1878-1961) was the bride's sister. She married her first cousin, Prince Jean, Duke of Guise in 1899. Jean became the Orleanist pretender after the death of Isabelle's brother, the Duke of Orleans, and their son Henri later became Count of Paris. 15. 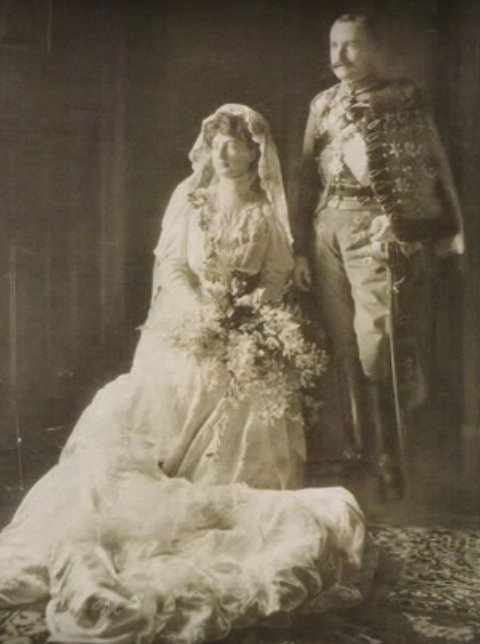 Prince Ferdinand of Orleans, Duke of Montpensier (1884-1924) was the bride's brother.